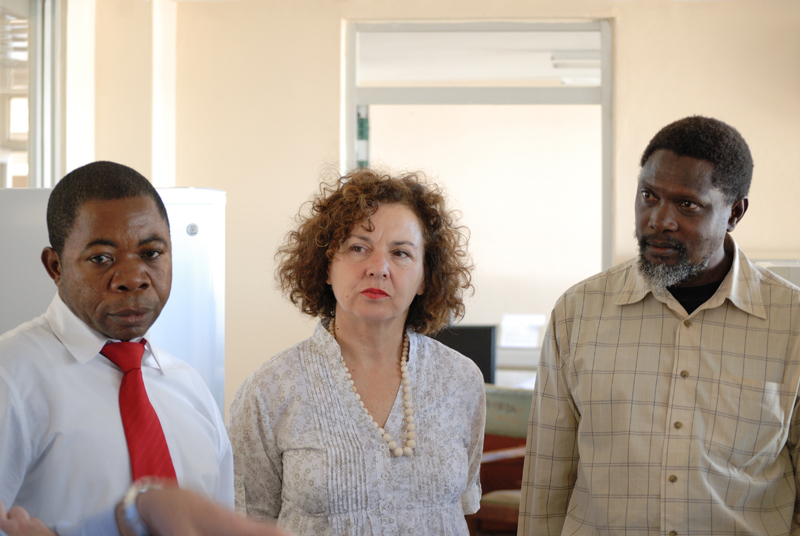 Director Vincenzo Caporale, Rossella Lelli, Alberto Mancuso and Massimo Scacchia from the G. Caporale Institute visited Zambia, Namibia and Botswana from 12 to 21 April. Their mission had several aims. As well as meeting the directors of the national laboratories of the three African countries and discussing current research projects, the delegation wished to learn the progress of the OIE Twinning Projects with Gaborone (Botswana) and Windhoek (Namibia), examine the activities and future collaboration projects with the Gaborone OIE Reference Laboratory for foot and mouth disease, and offer a training course on Food Safety. The delegation from the Institute met the new director, Joseph Mubanga, and his deputy Mr Kabilika, from the Department of Veterinary and Livestock Development belonging to the Ministry of Livestock and Fisheries Development of the Republic of Zambia, and the Director of the Central Veterinary Research Institute, Paul Fandamu, and his staff. 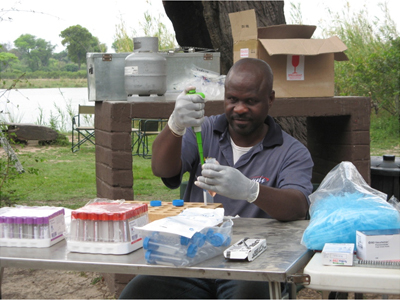 Two research projects on CBPP and tick-borne diseases, funded by the Italian Ministry of Health, are currently being conducted in Zambia. In Namibia, where nine joint projects are being conducted by the two Institutes, the delegation met the Permanent Secretary of the Ministry of Agriculture, Water and Forestry, the Director of Veterinary Services, Acting Director A. Marais, and the staff of the Central Veterinary Laboratory. 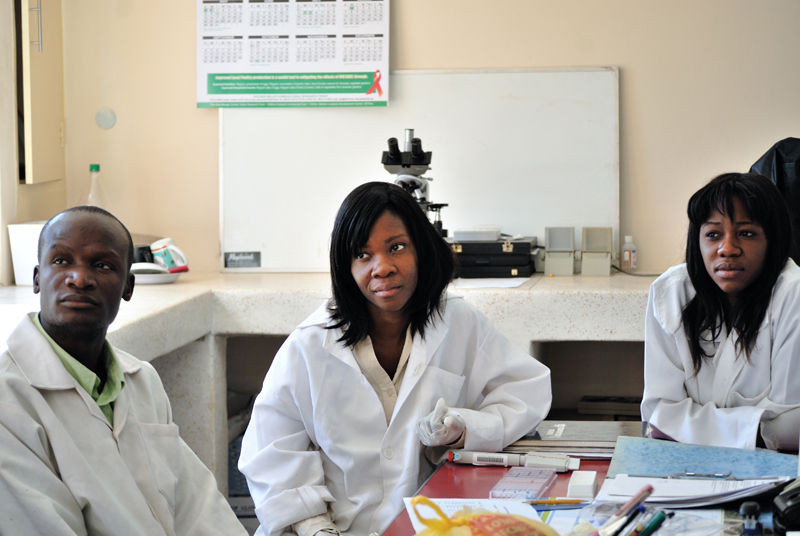 On 20 April a meeting was held at the Botswana National Veterinary Laboratory in Gaborone which was attended by representatives of that laboratory, including the new director, Letihogile Modisa. 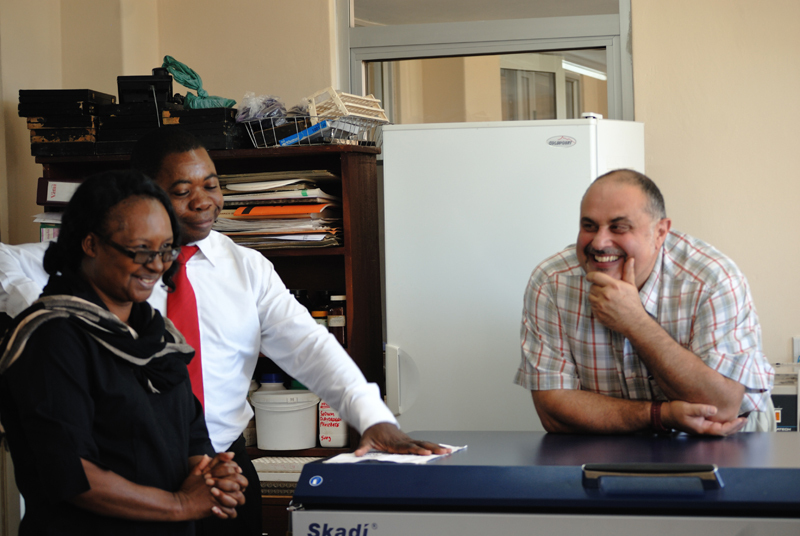 A meeting was held at the Botswana Vaccine Institute, OIE Reference Laboratory for foot and mouth disease, to discuss current projects and the scope of future collaboration. Three projects are currently being conducted with the Botswana NVL. The delegation from the G. Caporale Institute was enthusiastically welcomed everywhere, and all its contacts confirmed their willingness to engage in technical and scientific cooperation, confirming the important role played by the Italian Institute in South-west Africa.